Situated along the top of Italy’s boot, just west of Florence, Pisa bristles with culture, art, grandiose architecture, and wonderful eateries. This student town is home to over 90,000 people, attracting visitors to its iconic landmarks and renowned university. 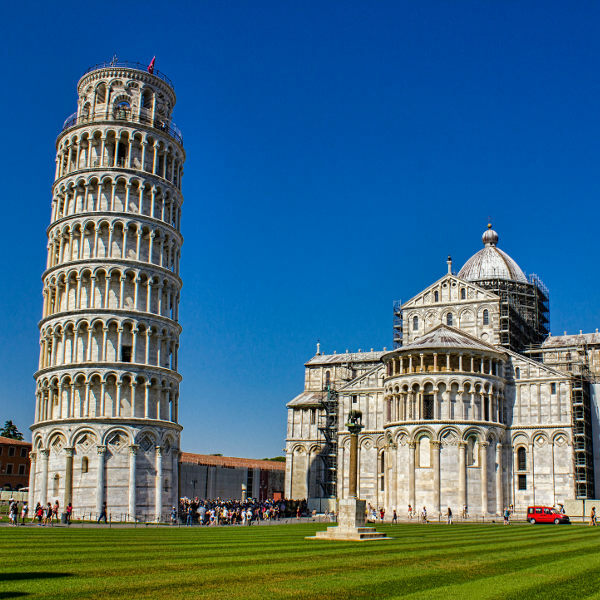 Popular attractions in Pisa include the Cathedral of Santa Maria Assunta, Leaning Tower and Sacred Field. 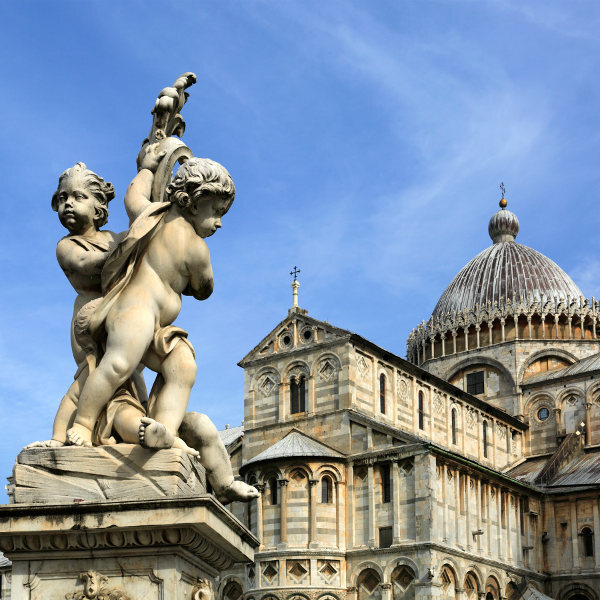 Cheap flights to Pisa are available for a limited time, so prepare to experience the architectural wonders and local flavours of this Italian gem! Pisa is home to Pisa International Airport/ Galileo Galilei (PSA), a 15-minute drive from the city centre. Pisa is an architectural paradise of masterpieces dating back to the year 1063. Take a free tour of the city walls and marvel at the intricacy and precision of each and every church, statue and tower. Mingle with the locals at the pubs and cafés, see some live music and dance the night away in the cobbled courtyards. Head up the Versilian coast for a proper disco! Spend hours perusing famous paintings and sculptures displayed throughout the city’s art galleries, museums, street exhibitions, as well as the hidden “Tuttomondo” wall mural. Peak season runs from June to September when the hot, summer days attract hordes of tourists to this iconic city. You’ll need to pack in sunglasses and a hat for walking around the city during July and August, which see temperatures peaking at 30°C. The best part about visiting Pisa during winter (October-March) is the cheap accommodation and ticket prices, and fewer queues. The streets light up beautifully during Christmas, if you’re after some festive cheer. For the best of both worlds, the best time to visit Pisa is during April and May; make the most of an affordable holiday during the warm spring season. Pisa will leave a lasting impression, whether you visit for just a day or a week. This bustling student town is famed for its iconic Leaning Tower, but there are many more architectural wonders to see. The impressive Cathedral (Duomo), Baptistery and Sacred Field (Campo Santo) are all housed within the Field of Miracles (Campo dei Miracoli) – a UNESCO World Heritage Site. Other interesting sights around the city include the National Museum, Santa Maria della Spina and Palazzo dei Cavalieri. The city bore many famous artists and architects, the most famous being Galileo Galilei. Many of the bridges and architecture here were constructed by the Médici family and if you’re a little unsure about the city’s history, there are plenty of museums to help you out. If you’re a lover of architecture, history and art, this is one city you’ll come to appreciate. 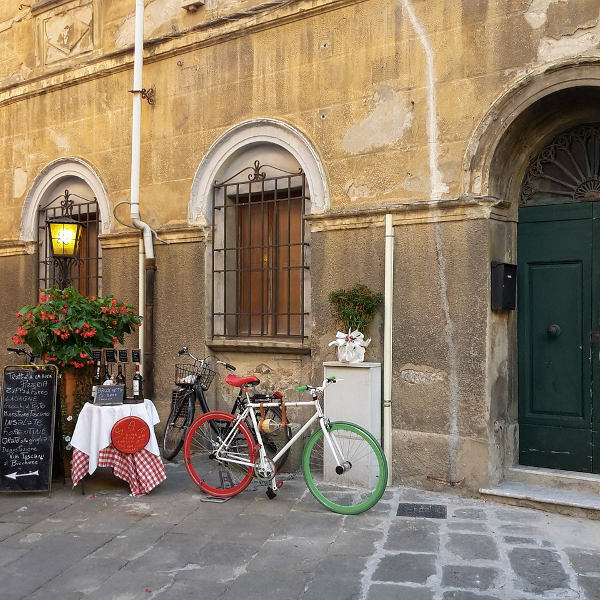 The best way to explore Pisa is on foot, and when you need a break from all the sightseeing, there are plenty of cosy little pizzerias and bars to duck into for a quick espresso or bite to eat. The city boasts an impressive nightlife – from Piazza Garibaldi all the way along Borgo Stretto, you’ll find plenty of locals hanging out at the shops and cafés. In the morning, this part of town turns into a bustling market with bakeries, spice shops, butcheries and wine shops filling the streets. Pisa is not only a feast for your eyes, but for your taste buds too! Compare several airlines, and book your cheap flights to Pisa online at Travelstart! Pisa is perfectly safe. Keep your wits about you like in any city and you’ll be absolutely fine. Do watch out for counterfeit goods near the tourist attractions, as you may be fined for buying from illegal sellers. Also, keep a lookout for pickpockets around the train stations and tourist areas.